See all current Paintball Guns and find an overview on the different kinds and models of markers. From guns to long range barrels. Top of the line equipment that will give you the edge over your competition. Check out our reviews and find the perfect match for you and your requirements. This guide should provide you with tips and hints if you are looking for a paintball gun or paintball marker and need help to narrow down the choices. There are important decision factors you need to entertain when deciding on what marker you want to buy. The Etek5 is another very high-quality Marker produced by Planet Eclipse. From the great barrel to the trigger and the mechanical interior, we have been blown away in this review by the easy handling, superior gun control, and great performance.This Marker makes a serious contender for any Speedball enthusiast and does also shine in other gameplay types. Exceptional build quality provides sturdiness and durability, this marker is almost unbreakable. Still, on the light side weighing 2.2 pounds, you will have great control over aiming and accuracy.While still being considered an intermediate marker, beginners up to pros will have a good time using this marker on any type of gameplay. Unquestionably an awesome gun for $400.00. Ships with an impressive case which holds it for transport or for storage. Even if you're not feeding this marker HQ paint, it still fires like a laser. We have dabbled with it for a few weeks now and have had absolutely no issues with it. No problems what so ever, nothing damaged, zero. Very well performing in all game modes we used it on (Speedball and Woodsball mainly). The only potential downside (minor) on the marker we could possibly find, was the trigger, It's not bad by any means, but you will have to adjust it to your liking/preference. Once set up appropriately it will definitely perform on par with some of the best markers on the market. Probably one of the best mid-range markers right now in our opinion. The Tippmann Cronus is the perfect entry level Paintball Gun and has a very appealing pricing to it. It is a remodel of the former 98 custom and greatly improved in every aspect. the barrel shield is optionally removable and a stock can be added for improved stability. This Marker can be modded with Red Dot Sights and lights / grips and has a great durability and quality feel to it, despite its great price! This is a very solid choice for beginners. The Tippmann A5 is like the big brother of the 98 custom with tons of upgrade body kits. Want to make your Marker look like a fully fledged AK-47? Or do you prefer the Tactical HK 417, Spec Ops MP5-SD? No problem! Tippmann has you covered. There is a multitude of barrels, stocks, grips, magazines and the combinations thereof available for the A5. Mix and match to your heart's desire. The A5 provides another great feature, the threaded barrel. Easily replace and or switch out the barrel with another one to your desire. Further, including the cyclone loading system straight out of the box, you will have no trouble loading in the heat of the battle. This is a good Marker for Intermediate Paintballers, well worth the money. Very good value for the price and full feature set. This is a great entry level marker to buy. We have a very slight preference of the Etha 2 over this one but the difference is minimal. The gun offers great bang for the buck and has a ton of upgrade features. Great accuracy, high rate of fire and decent range make this a very solid intermediate choice marker. This one will tackle all scenarios or game modes with ease, however, it definitely shines with Woodsball or Milsim/Recball gameplay modes. A very solid choice as entry level or intermediate player marker. The Empire Axe is a very popular and appreciated Mid-tier marker. It has a very good quality build (as can be expected from Empire). You get a great high-quality marker that can hold up to the best of the best markers. We really loved the silence while operating and firing, the out of the box stock and the accuracy. Depending on the level of skill you are playing, we do however recommend to upgrade the barrel. Lurker's Eigenbarrel or Eigenbolt are solid upgrades that will make this Paintball Marker even better. The board handling on this marker is probably one of its biggest downsides, which we do not consider grave by any means. It's rather inconvenient and simply could be improved upon. If you are a serious Woodsball player you probably want to upgrade this as well. There are great options for this available. - smaller leakage of HPA while using it after a while, nothing drastic though (comparable to other models leaking). Can be fixed with some maintenance and replacement of o-rings. This is a very solid and another high-quality marker made by the brand Empire. The Empire GS is one of the smallest yet very capable Paintball gun, excelling on various game modes Speedball, Woodsball and or Recball. It is really air efficient and a perfect item to buy / gift to your kids should they want to start this sport. Due to the weight and size, this Paintball Marker offers superior control and accuracy. It is perfect for beginners and intermediates that want serious performance. On top of it all, it's moddable and you can heavily customize the gun. Be prepared to open the wallet through - the addons do not come cheap! If you want to be the badass on the field, look no further. Get the BT Defender and you will be feared! This is one piece of a marker and it definitely has its ups and downs. First, the price is very steep. The sheer size of the marker and the associated weight will make it hard to be on the run and move fast. However, for certain Milsim and Scenario plays it definitely has some great potential. Having an opponent pinned down and laying on suppressing fire they will not move an inch. The accuracy is surprisingly great for a gun that fires this quickly. Tool-less disassembly and maintenance is the cherry on the top. If you can afford this baby and have use for its application, you will not regret your purchase. 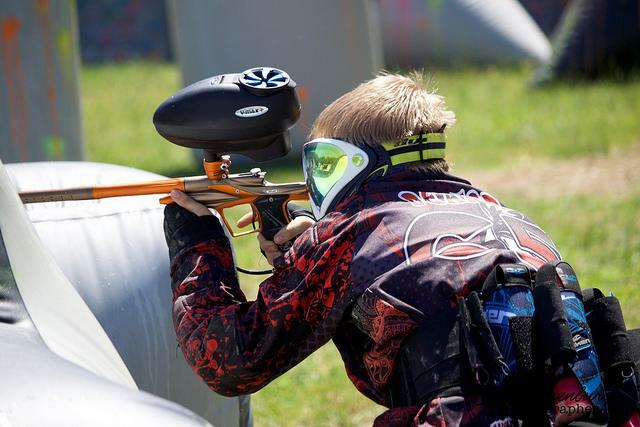 There are two main types of air systems used in Paintball, to provide your marker with the necessary, to launch the paintballs through the barrel. Used by mostly recreational and hobby players. The tank and bottle sizes attached to your marker will determine how many pellets you will be able to shoot. CO2 systems are the most common and usually can be refilled at your local Paintball Field. Professional players looking to improve their performance opt for HPA technology, also known as nitrogen systems. HPA will get you higher accuracy and less weight, thus providing more capacity for smaller bottle size. The downside is that this high-performance system is less spread on Paintball Fields and filling up your bottles will be hard. You have to plan for this when considering an HPA system. 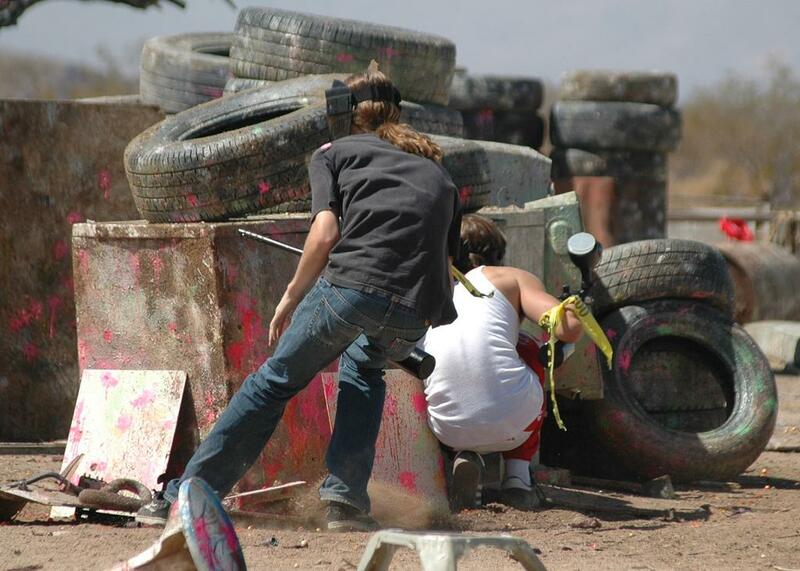 Usually more professionally organized Paintball Arenas will accommodate for HPA systems. This is the standard and general Co2 Tank that can generally be used on any Paintball Arena possible. Fair price and solid performance will make this tank a solid choice for beginners and recreational users. If you're out for performance you ought to consider an HPA system instead. Very solid tank when you choose to go with HPA systems. Ninja is one of the top producers around since the very beginning of Paintball. There are various bottle/tank sizes available with different casings (aluminum or carbon) depending on your weight preferences. Also, various pressure sizes are available with will determine how much ammo you can shoot before a reload is necessary. Select any kind of Hopper Feeder that suits your need for capacity and reload speed. Also, keep in mind the hopper usually is mounted on the top of the marker and can obstruct your view or reflex sights. - Feeder mechanism needs some adjustment according to the recoil your marker has. Keep this in mind when choosing a hopper. The Virtue Spire Electronic Loader/Hopper is one of the solid and trusted hoppers available. With 260 rounds capacity, it is still comparably lighter and more durable than other products on the market. You need to consider the marker you are using as we experienced different behavior based on the recoil intensity of the marker. Working great out of the box on an Empire Axe or Planet Eclipse Etek5. One of the best hopper/feeders available on the market. Top Brand Dye has yet again produced a high-quality product with only the best performance in mind. This hopper has a very high feeding speed at about 50 rounds per second, that will give you a great edge over others with slower feeding speed. The price is quite steep but good gear is not cheap, you get what you pay for. Consider spending a little more on a good hopper/feeder system but getting way fewer jams and headache when actually playing goes a long way in our opinion. We really loved the performance of this hopper/feeder. Due to the high price, this is probably out of reach for some of the beginners. The sheer configuration possibilities with the accompanying app are astounding. If you are a pro and want full control over your equipment this is definitely a good choice. You will get performance! Step up your game with improving your performance by adding an aftermarket barrel to your marker. Choose from different lengths and bores (inside diameters). Average is 12-18 inches. Choose the bore according to the Paintballs you want to use. Most common is the .68 caliber bore size. This is a marvelous piece of equipment. Add this barrel to any fitting marker and you will instantly know why pro's opt for aftermarket barrels. Right off the bat, you will get radically improved accuracy yet still silent. Shooting ropes all day long is just so satisfying. Seriously, if you can afford it - get it. A very outstanding and solid aftermarket barrel that will fit almost any marker on the market. Due to the 3 different bore inserts (.680, .685 and .690), you can adapt to almost any paintball size you desire. Maximum flexibility for a very fair price. 14" or 16" barrel tip made from high-grade aluminum will give solid accuracy and stability to your shot performance. Very solid aftermarket barrel. Primary factors are what kind of playstyle or game style you are into, what experience you have and what your budget allows. Having the best paintball marker for only a few casual plays per year is not necessary. The decision is up to you, however, to buy whatever you dig! After all, right gear can make the difference between a win or a loss! Let’s get to the nitty-gritty of the reviews. 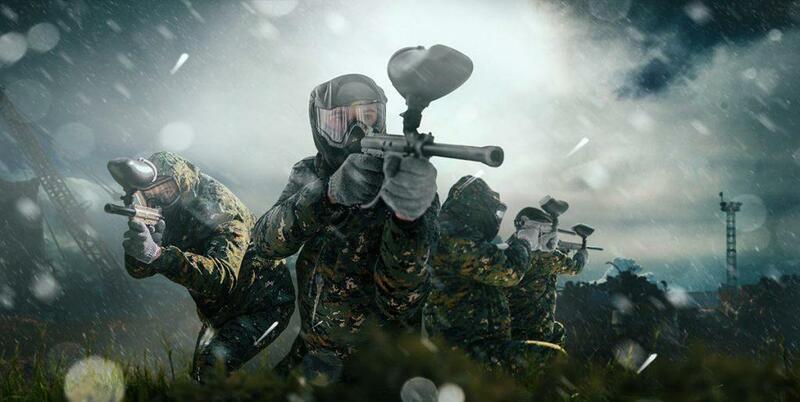 By far the most important factor on your purchase should be the preferred type of Paintball you are interested. If you are planning to go the route of a professional player you probably intend to stick to one game mode and master that. You would buy gear highly adapted to that particular game mode. However, if you’re more of a casual player down to play various game types and modes, you would be instead advised to buy general purpose equipment. There’s great gear that will shine in different environments rather than very specialized guns. Woodsball Paintball refers to outdoor field combat in the woods. Running in the underwood and hugging trees for cover, you will want a marker with good range and stock for added accuracy. Topping it off you could even add a barrel extender for even more range. Throw in a red dot sight, and you have an excellent fully fledged woodsball marker. Another variant of Woodsball is the so-called “Scenario Games.” There are well-known examples such as “Cousins Big Game,” Hell Survivors Monster Game, Invasion of Normandy and Oklahoma D-Day. They refer to large-scale fights with players ranging from 2000 up to 4500 participants and can last from a few days up to a whole week. Recball is a game mode that is played mainly indoors with bunkers and big urban structures. In this environment, you would favor rather compact markers with high firing rate to blast around the corners and covers. Recball is combining different playstyles, such as the tactical nature of Milsim and Woodsball with the more compact fields and the cover based speedball shooting. This is the ideal beginners game mode as you can experience all the different aspects there are to this sport and recreational hobby. Speed is the name of the game in the speedball game mode. You want the highest rate of fire as opposed to long-range accuracy. Adjustable shooting modes and a compact build provide support to stay in cover and keep suppressing fire on your opponents. You will want to get a paintball gun with HPA model, providing more shots per tank and thus giving you an edge in short rounds firing as much as possible. There’s mainly two different firing systems, the mechanical system or the electro-pneumatic one. Both have their advantages that you should consider when you are in for buying Paintball Gear. Electronic systems use a 9volt battery as opposed to siphoning some extra gas to fuel the mechanical trigger. Electronic triggers provide lots of burst, and you can adjust for semi or fully automatic modes. Professional Paintballers usually go with Electronic Trigger systems. Mechanical systems still have a very specific appeal to them. They are easier to maintain and can be optimal entry level gear for beginners. Mostly they are cheaper and can be easier to operate. No batteries or electronics to keep charged and operational.